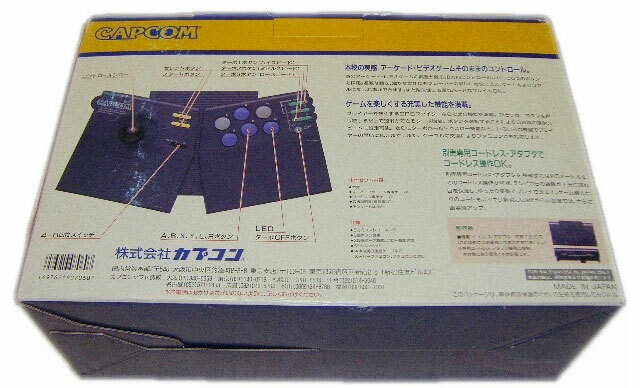 A large joystick from the Capcom fight school with an eighties feel to the design being split into to halves. 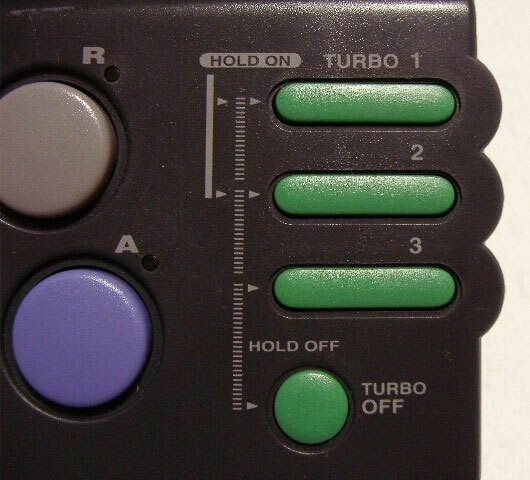 Also features three speed settings for when SFII Turbo gets too much. But overall this has a very polished feel as befitting one of the greatest fighting games of all time. Brand new. 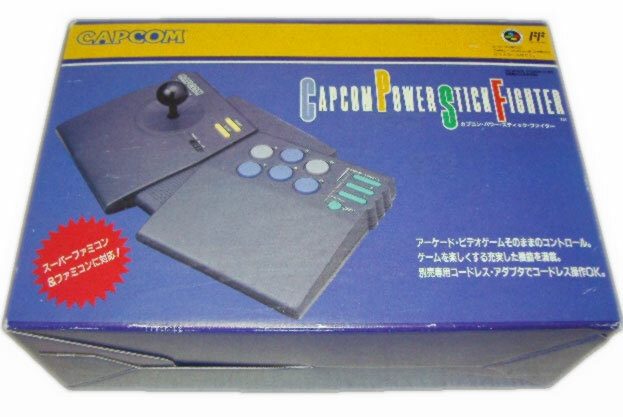 Comes with adaptors to allow it to be used on the Famicom or Super Famicom. Brand new. Light box discolouration, impressions and scuffing, but nothing out the ordinary considering its age.